Latest Drug Shortage Threatens Children With Leukemia : Shots - Health News Many hospitals around the nation are perilously close to running out of a form of the old standby cancer drug methotrexate. The reason: a principal supplier of injectable methotrexate shut down in November after it flunked an FDA inspection. Many hospitals are perilously close to running out of a form of methotrexate that's necessary to inject in high doses to treat certain forms of cancer. It's a new kind of brinksmanship for U.S. doctors: caring for patients with life-threatening diseases when the supply of critical drugs threatens to disappear. The latest crisis concerns the old standby cancer drug methotrexate. For six decades, it has made the difference between rapid death and lifelong cure for thousands of children with acute lymphoblastic leukemia, or ALL, and a type of bone cancer called osteogenic sarcoma. Many hospitals around the nation are perilously close to running out of a form of methotrexate that is necessary to inject in high doses to treat these forms of cancer. For ALL and osteogenic sarcoma, "there's really no known curative therapy without methotrexate," says Dr. Howard Weinstein of Massachusetts General Hospital. "Based on our current outlook, if we don't get any supply, we're going to be out of methotrexate in the next couple of weeks." It's the same situation at Children's Hospital and Clinics of Minnesota. "We're probably good for a few weeks, but if we don't get any, we'll have to do some substitution or delays of therapy and give the high-dose methotrexate later when it's available," says Dr. Bruce Bostrom. He says doctors just don't know how that's going to affect patients' chance of a cure — which is at least 90 percent with the right treatment. Brenda Carr's 4-year-old daughter, Rowen, is a patient at Bostrom's hospital. "What I just couldn't believe was that there was nothing really to prevent this from happening," Carr says. "It gets really frustrating. I try to stay logical about it, but, unfortunately, I'm a mom." Doctors inject methotrexate directly into the spines of patients with ALL. For those with the bone cancer, they must use very high doses of the drug. In such cases, the methotrexate must be free of an alcohol-based preservative that is highly toxic at high doses. Otherwise, it could result in paralysis. It's this type of preservative-free methotrexate that is suddenly running out. 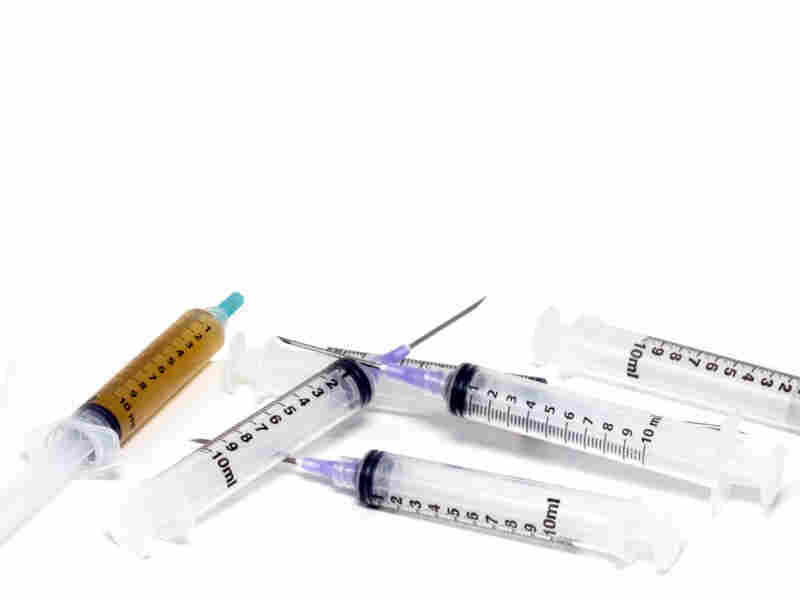 The reason for this particular shortage is that a principal supplier of injectable methotrexate, Ben Venue Laboratories of Bedford, Ohio, shut down in November after it flunked an inspection by the Food and Drug Administration. Erin Fox, an expert on drug shortages at the University of Utah, says the FDA inspectors found a long list of serious problems. "If you want to read something to give you nightmares, you can look at the FDA 483 inspection form," Fox says. "You can read about mold on the walls and rust from machinery falling into the vials. It really provides a very grim picture of a crumbling factory." Fox says most people don't realize how decrepit many U.S. drug plants are, especially those that make generic drugs. Ben Venue Laboratories says it has invested more than $250 million over the past three years to upgrade its facilities, "and continues to invest millions more in order to restore production as quickly as possible." The FDA says the methotrexate crisis may be narrowly averted. Valerie Jensen of the FDA's office of drug shortages says three other manufacturers have been persuaded to ramp up production of preservative-free methotrexate. "We're hearing good news from them this week, that they will be having additional supplies," Jensen told NPR. "From what the companies are telling us, we do see that meeting patients needs over the coming weeks." The same lab is responsible for another recent and far-reaching drug shortage involving Doxil, a drug relied on by thousands of patients with ovarian and breast cancer. Ben Venue Laboratories was the sole worldwide supplier of Doxil, which is now unobtainable. Jensen said the FDA expects to have good news about Doxil. She says the agency is exploring the possibility of licensing a foreign company to make the drug, something the FDA has done eight times in the past year with other drugs in critical shortage. "We do hope to have some very good news soon" on Doxil, Jensen told NPR, "hopefully within the next couple of weeks." Meanwhile, doctors who learned from NPR that new methotrexate supplies may be on the way were pleased but guarded. "That's very good news," Bostrom says. "But this is not the last shortage we'll have to cope with." Carr, the Minneapolis mom, says she has her fingers crossed. But she's skeptical. "This isn't the first time we've been on the brink of drug shortages, especially in cancer treatments," Carr says. "I don't want another mom to have to be thinking about whether or not their child is going to get the medication they need." Experts say there certainly will be other parents who will have to worry about other shortages, because the root causes will not be easily resolved.